Last week I watched the mostly terrible, mildly misogynist body-switching comedy The Change-Up. I had to remind myself that there are some sterling examples of the body-switcheroo genre and not all of them star Judge Reinhold. For example, I loved Freaky Friday—the Jodie Foster one that came out in ’76, that is. The Lindsay Lohan one isn't half bad, but—ugh. It's depressing to contemplate Lindsay Lohan. Better to focus on the great Jodie Foster. Better still to focus on Edward Gorey. His cover for the 1972 hardcover edition of Mary Rodgers' Freaky Friday novel is da bomb. (Remember when people used to say da bomb? I never used that term whenever it was popular but suddenly it's just feeling right.) One day I will read this book and report back on how true the movie adaptation was to the original. 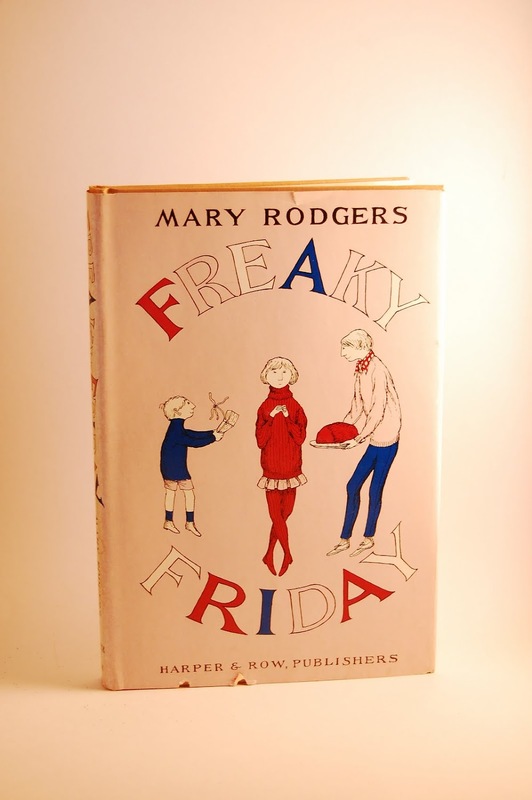 In the meantime, it features prominently in my Edward Gorey book-cover collection.